Hello and welcome to the very first month of The Book Club Cook Book Cooking Crew! This is a yearlong project by other bloggers and myself where we read, cook and post recipes inspired by books in The Book Club Cook Book by Judy Gelman and Vicki Levy Krupp. There are so many books and recipes to try, I'm very excited to work my way through this book and be inspired to read new book and try new recipes! This month is being hosted by Camilla from Culinary Adventures with Camilla, and she has chosen the book Interpreter of Maladies by Jhumpa Lahiri. This book includes 9 stories in which all the characters in each of the stories struggles with being part of two cultures, East Indian culture and American culture. This is an incredibly beautifully written book! I almost didn't get a chance to finish the entire book, but I ended up reading it in its entirely in two days. For this month, I had my heart set on making a mango lassi or a chicken recipe that I had received when my cousin hosted an Indian cooking class. When it came down to making this dish, I had all the ingredients for the lassi and none for the chicken dish... then I found myself not really wanting to pull out a blender and making ice (we don't usually keep ice in the house). So I decided to make a somewhat deconstructed mango lassi instead by making it into a parfait! I looked at all the ingredients that a mango lassi had, and used that to make the parfait. I guess this dish is somewhat fitting of the book for this month because this is an even further Americanized version of a mango lassi, but I think it captures the flavors. I took plain lowfat yogurt and flavored it with a little bit on honey and a small bit of rosewater. Then I macerated some diced mango (fresh or thawed frozen both work) by sprinkling some sugar on top and letting it sit to release the juices. Afterwards, I just took out to individual serving dishes, added the yogurt on the bottom and layered the mango on the top. To garnish, I added pistachios and drizzled with a little more honey. 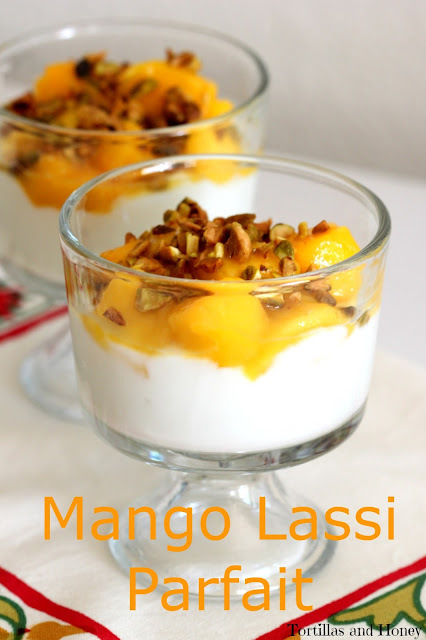 This dish came out incredibly good with all the flavors of what you expect from a mango lassi, but it is something that you can make every day for a snack or breakfast. 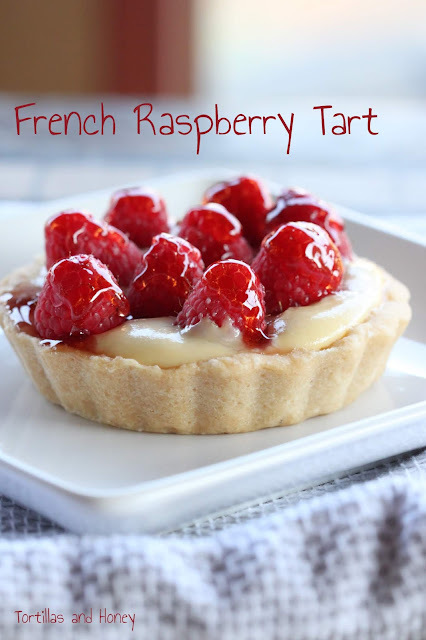 I actually have some already in the fridge to assemble in the morning for our breakfast tomorrow! In the future, I may even try this dish with other types of fruit and perhaps use orange blossom water instead of rosewater. Also, head to Culinary Adventures with Camilla in order to enter to win a free copy of The Book Club Cookook! *Disclosure: Bloggers received complimentary copies of The Book Club Cookbook, Revised Edition: Recipes and Food for Thought from Your Book Club's Favorite Books and Authors by Judy Gelman and Vicki Levy Krupp to use in this year-long project plus the opportunity to give a copy away. Opinions are our own. We received no further compensation for our posts. In a small bowl, combine mango and sugar to macerate for about five minutes. In another bowl, mix together the yogurt, rosewater, and honey. Split the yogurt into two small bowls for serving, then top each serving with the macerated mango. Then garnish with pistachios and drizzle with extra honey. I love this book club. What a great idea. And this lassi parfait?? Way to take a classic to a whole new level! I love this idea of making a parfait of the lassi. What a perfect ending it would make for an Indian inspired dinner. I was thinking of a parfait when I had my mango lassi. I think it was the pistachios on top. These are gorgeous! I love this idea! I am definitely trying it. I love this variation! Thanks for sharing it with #thebookclubcookbookCC. I'm definitely trying this soon.